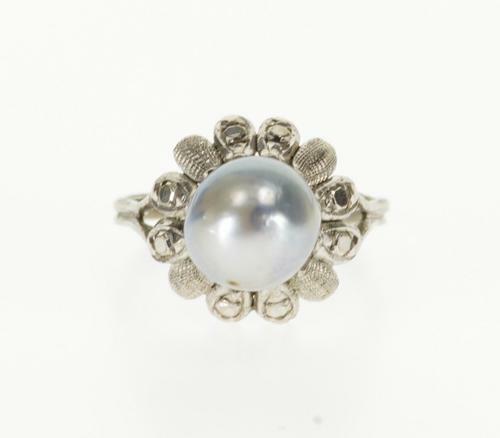 You are bidding on a 14K White Gold Ornate Textured Accent Floral Pearl Inset Ring. 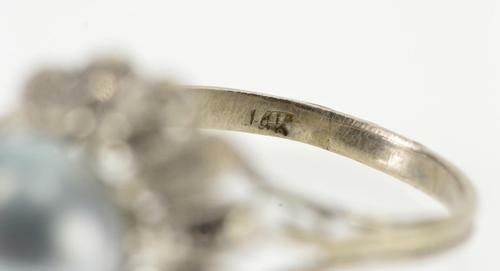 This item has a composition of 14k Gold Marked. 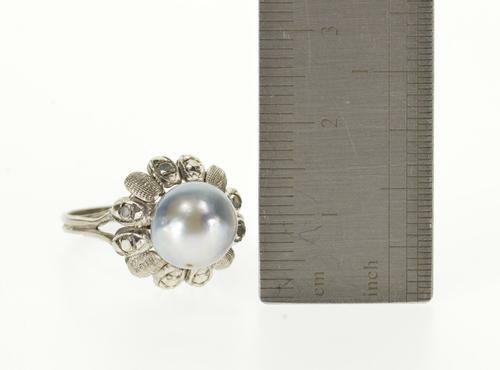 The center gemstone is 1x=9.2mm Pale Blue Pearl. The item's condition is Estate: Good. This item has a weight of 3.8 grams. We would consider this piece to be Vintage. 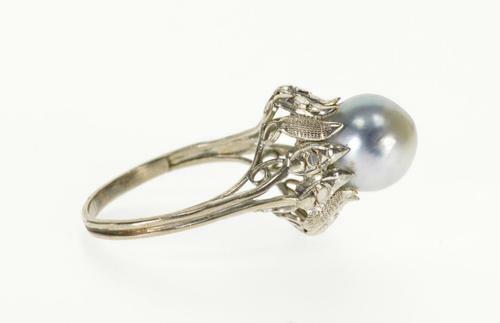 This ring is size 7.5.